The Audiophilleo 1 and 2 latest acquisitions, following Halide Bridge, ART Legato and Stello U3 as high fidelity USB to SPDIF interfaces. 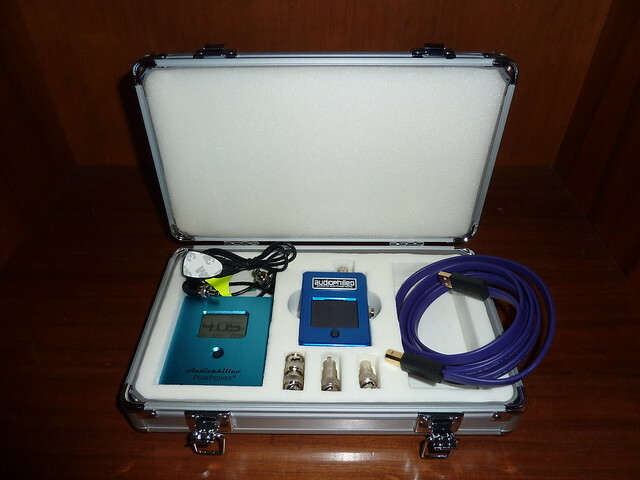 I initially bought the Audiophilleo 1 + PurePower upgrade, as I was interested in its high quality digital attenuation. Soon, I also decided I wanted a standard, cheaper Audiophilleo 2 to see to what extent the PurePower upgraded was improving the sound. The Pure Power is a battery upgrade option which isolates the output stage and clocks from the USB side. The Pure Power also has its own LED screen, which keeps the voltage level under monitoring. An AP1 modded with the Pure Power cannot work without it. I have been using the two units with a Wireworld Ultraviolet USB cable; both units come with three different connectors/adapters, which are screwed into the unit in order to directly connect to coax, BNC (male) and BNC (female) DAC’s. Hence, the Audiophilleo units don’t need a separate digital cable towards the DAC. I have evaluated the Audiophilleo 1&2 using a Yulong D18 and Museatex Idat-44 Mobile, a Stax SRM-727A amplifier and Stax Gamma Pro (electrostatic system), and Headamp AE-2 with Etymotic ER4P and Audio-Technica AD2000 (dynamic system). The same two systems have been tested with Stello U3 using the Idat-44 M; the dynamic system (out of Idat-44 M) has been tested with both Stello U3 and ART Legato. While I found the ART Legato and Stello U3 to be on a similar level of performance, with a Legato having a tiny edge on dynamics and reverb, I do consider the Audiophilleo 1 + Pure Power to be on a different level. The Audiophilleo much improves upon refinement, background clarity, delicacy. I have read somewhere, that a user found his Audiophilleo 2 (without Pure Power) to be “clearer than Stello U3”, and that certain readers where interpreting it as being “brighter”. What I’d say, is simply that the AP1 is simply much more polished and refined than the U3. What’s “clearer” is the canvas. Details come up with their tiny spatial definition, everything can be placed more precisely. I couldn’t detect any additional brightness. The best way to describe such behaviour, is that it’s easier to perceive a directional drift, with the tiny details. They more clearly move away from the listener, in the spatial canvas. The Audiophilleo 2 (no Pure Power) is half way between the U3 / ART and AP+PurePower tier. I think it offers quite a bit more delicate pinpoint imaging than Stello U3, especially. When using the PurePower-ed Audiophilleo 1, there is a further gain in delicacy, the spatial placement is more clearly layered, and the sense of “drifting” improves. The difference produced by the PurePower is based on two principles: the use of the battery power (instead of sourcing the power from pc usb), and the isolation of the master clock in a separate region. Comparing the Idat-44 and Yulong D18 using the AP1+PP, where the former is more groovy and upfront, the latter is more balanced, there isn’t shortage of bass power with either. The idea here is to control the volume remotely, without losing Bitperfect capabilities. The AP1 offers dithered volume control (more resources are here). The volume control can be used in both Pro and regular mode. The regular mode takes volume commands from the PC, but the PC doesn’t attenuate the signal: such action is performed by the AP1. The Pro mode ignores any changes of volumes from the PC, and has tinier steps compared to the regular mode. Not having a high end preamp at hand at the moment, I can say I am not detecting any grain by using it to attenuate volume. As I mention in the resource page linked above, the digital attenuation will work great as long as a listener has a 24 bit DAC. In case of a 24 bit audio stream, the digital volume attenuator will be truncating 24-bit “words”. 16 bit audio will simply have the music in the upper 16 bits, with the lowest 8 bits being zero, so the total number of bits passed to the DAC is still 24, and dithered volume attenuation will make use of all 24 bits. The only situation where the digital attenuation wouldn’t be equally advisable, would be with a 16 dac. Other Digital Signal Processing features, which I am not using equally constantly, include balance regulation, channel inversion, burn-in. 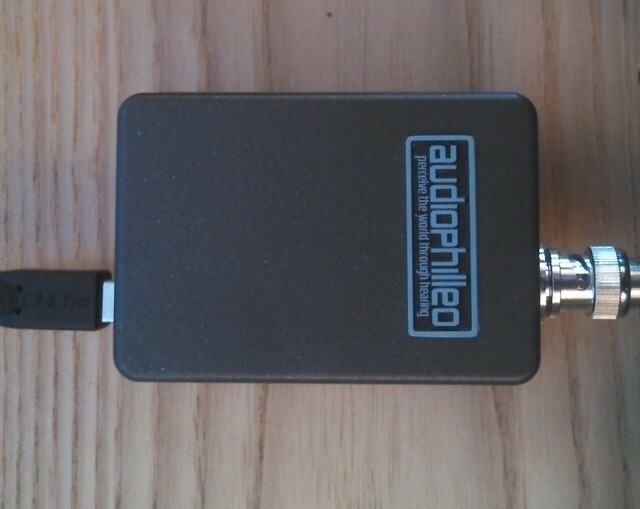 The Audiophilleo + Pure Power is, so far, the best sounding digital to digital converter I have tried. Where the ART Legato and U3 are clearly superior to the Bridge (warm signature, blurred details), I think the AP1 + PP is a few notches above the ART and Stello themselves. The Audiophilleo 2 (without PurePower), costing slightly more than Stello U3 and ART Legato, offers both sonic (delicacy) and practical advantages, not needing a separate digital coaxial cable, preventing a headache and saving money (the cheapest “good” coax cable I have found, Belkin synapse, is 100$; several worse sounding ones are more expensive); light weight, and plug and play without installing custom drivers. Given the cost of the AP1, the Audiophilleo 2 + Pure Power might be preferred by people not needing the additional DSP functionalities, for a cheaper price bracket; the Audiophilleo 2 (without Pure Power) could be a bit more cost effective when factoring the price difference. 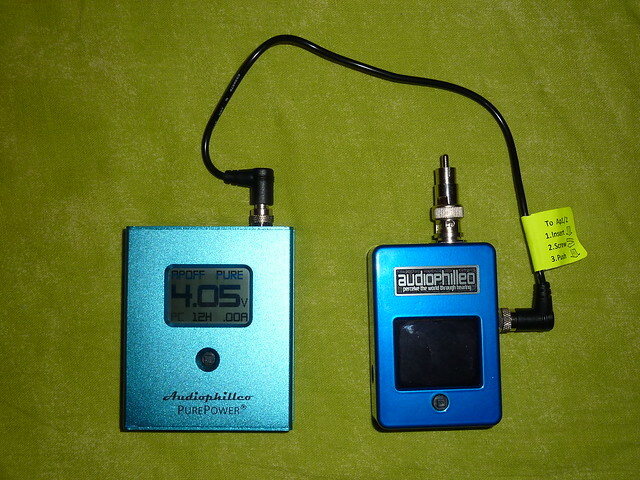 A final reflection: it’s possible to use the Audiophilleo 2 with third party batteries, for example with a USB cable with two inputs (one for signal on PC, one for a separate 5V battery pack, like Trent stuff for smartphones) and one output; it will very likely improve the sound over stock, since it will provide much cleaner usb signal to the Audiophilleo input. Buyers on a budget might want to experiment on similar solutions. Anyway, compared to the PurePower, such a solution won’t keep the master clock isolated, which is the other half of the game to maximize the oscillator precision at each fixed audio sampling frequency (44.1 kHz, 48, … up to 192 kHz).